Highlighting the importance of financial independence through their social media campaign, Dreams Come True, HDFC Life connected with the youth, encouraging them to grab the opportunity and make their dream happen. HDFC Life worked with young social media influencers on social media for Dreams Come True to propagate their unique success stories, highlighting the fact that financial independence can be achieved while chasing your dreams of becoming who you are. The brand picked 8 social media influencers from different walks of life with one common aspect connecting them all, new age and out of the box career paths that they chose and achieved success with. This helped HDFC Life highlight their campaign objective that even before eventually realizing their dreams, these hardworking youth have attained financial independence. An Instagram centric campaign, Dreams Come True told the stories of these young achievers who had made a mark in their respective fields of work such as stand up comedy, slam poetry, acting and more. 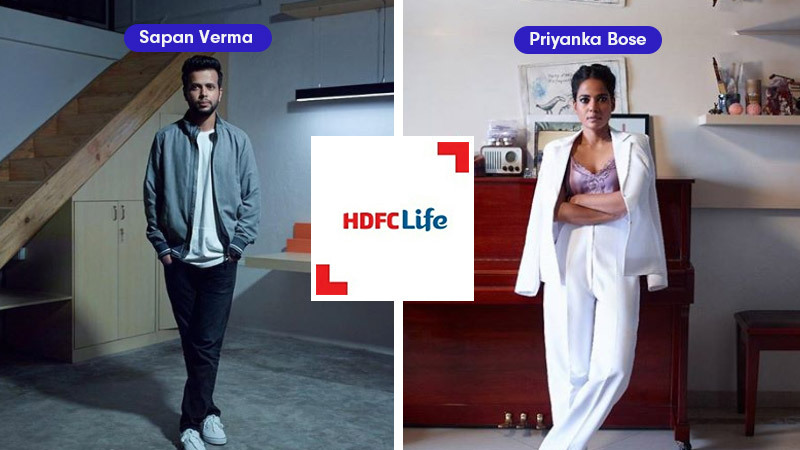 The Influencers that worked with HDFC Life for Dreams Come True were, Shamir Reuben, Naina Mansukhani, Sapan Verma, Sahiba Madan, Saba Azad, Priyanka Bose, Harshvardhan Kadam and Payal Khandwala. With an engagement rate of more than 8.33%, HDFC Life Reached more than 107749 with Dreams Come True. The immense popularity of the associated influencers and the message of the campaign resonated well with the audience, racking up more than 118690 Impressions. HDFC Life received around 15353 in total on all their posts, successfully reaching out to the youth through the right choice of influencers and platform.